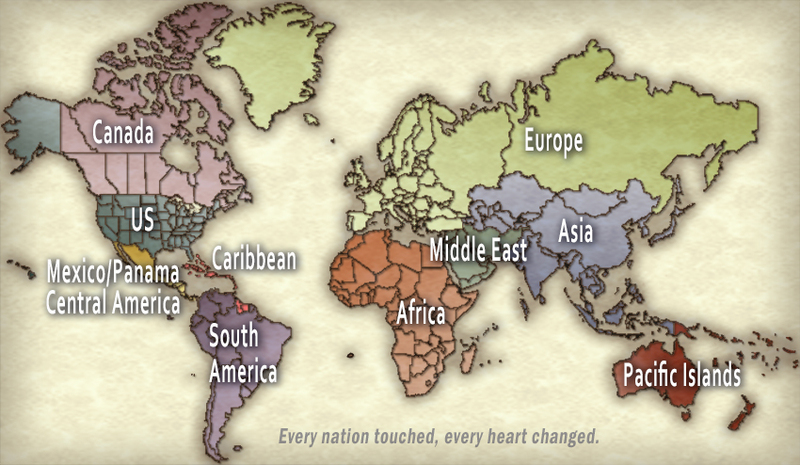 Aglow Global Prayer | Every nation reached, every heart changed. Your Kingdom come on earth as it is in heaven! As a company of warriors and champions, we are cultivating a worldwide presence that creates an atmosphere of celebration, impartation, and restoration. Prayer and proclamation is one way we do this. We pray with confidence that it is the believers in a nation who hold the true identity of that nation. 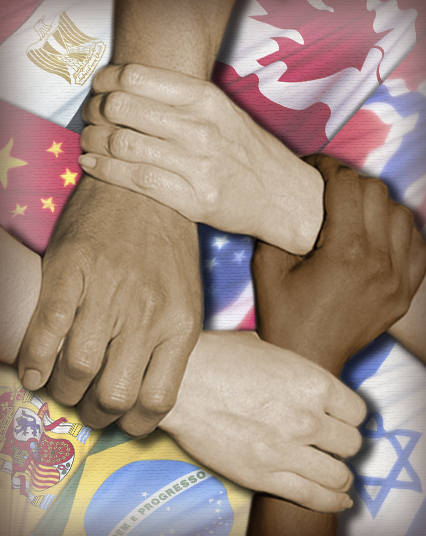 As we pray, we carry God’s Presence into each nation to release the blessings, promises and intentions of God. Allow the goodness of God to arise in you to transform your nation with the overflow of His grace, goodness, peace and righteousness. Then, pray and proclaim God’s intentions for the nations of the world. Select a part of the world from the map below. Then, select a nation in that part of the world. Agree with the prayers and proclamations for each nation. Add your prayer, proclamation or a scripture to the comment section. This is a beautiful and extremely helpful resource for prayer! It’s visually very appealing and the information for each region of the world as well as each nation in the region is excellently done. I’ve printed out the pages on the region and nations that concern my heart and will use them to pray and proclaim God’s purposes. Thank you, Diane, for your encouraging response to this new resource. Mostly, thank you for your faithfulness in prayer for the nations of the world. Our prayer together is making a difference in releasing the goodness of God’s Presence and the fullness of the good news of the gospel throughout the nations of earth. Every blessing upon you! just looking up re Poland as my friend and I are coming for a 3 day break at the end of this month. its always good to be aware of how to pray for a nation, We are staying at Wroclaw and looking forward to it. every blessing for Aglow in Poland. I have been praying for Israel, her peace and protection for a long time. I shall add the matters outlined to my list. I am grateful for the opportunity. God bless. Yes, bless, bless, bless! – I am reminded again, this morning (7.15am in New Zealand now – where I reside) that I Need to Stand-in-The-Gap, agreeing with all the Proclamations & be ONE of the Guardians (with you & pratnering with Holy Spirit), to be His Hands, Feet & Mouthpiece amongst the Nations! Thank you LORD I got into this website this morning! This is wonderful. Thank you for putting this together. I am putting it in my favorites so that I can go directly to it. What a wonderful way to get the word out and to be able to pray for others. I am hoping that this is linked to our website that we are having done for South Central PA Area. God bless you in all the work that you have put into this site. What a powerful new addition to Aglow on the web! The atmosphere of this site is truly hosting our God’s presence! Love this! This absolutely rocks! No kidding. It is rich. Thank you, Nancy. I will use it again and again!! This website is fantastic. It absolutely breaks open prayer for the nations to a whole new dimension. Other prayer ministries involved in the global prayer movement need to be acquainted with this invaluable tool. I’m sure there is nothing as comprehensive as this site anywhere. This will definitely do damage to the kingdom of darkness and cause celebration for the Kingdom of our God. Well done! What an awesome tool for us to join together as part of the Aglow Prayer Network. Absolutely love this. Wow! This is such an amazing web site… Looking at it has made my heart sing! It is a wonderful resource for all those with a heart to pray for the nations and it is done with such excellence! Thank you! Well done, I love the way you continue to give us tools to use for our arsonal! Thank you and I can’t wait to try and print it off from home computer! What a sweet tool. So good to have all this information in one well done space! WOW! I’m impressed. This is a wonderful tool, not only for prayer, but for widening our understanding of the Aglow world and the world at large. Great job!! This is fantastic, with ourAustralian National Conference coming up, and the focus on the Great South Lands of the Holy Spirit … this is a wonderful tool for us to pray for the Pacific Islands – some of whom will be joining us down under at Caloundra. Thanks for this wonderful resource.Blessing to our beautiful sisters and brothers all over the world!! What an amazing study tool! Thanks for taking the time to research & put this together…. I used to have to gather around a rotating globe to associate where certain Nations were, & how they related with other nations. This simplifies things greatly. Bless your organizational & administrative skills. Our God is an awesome God and you have allowed Him to do a great work through you. This tool is well done, professional, strategic and a wonderful aid for prayer and a greater understanding of His kingdom. Thank you, thank you, and bless you. Thank you so much for giving us an easy to use tool with all the information we need at our fingertips. I especially love being able to click a country and seeing the capitol city to pray for. I would like to be a part of this movement, please. Wow! This is great. It takes prayer for the ministry of Aglow and the nations to a new level with specifics and strategy! Thank you for providing this unique prayer guide to the world. The Kingdom of God reigns in Swaziland! ¡Este es un recurso excelente! ¡Gracias queridas hermanas! nos hacen sentir en familia, y nos fortalecen para continuar haciendo lo que Dios nos ha mandado hacer, sabiendo que mundial mente estamos orando unas por otras y por nuestras Naciones. This is an excellent resource! Thank you Dear Sisters! they make us feel family, and strengthen us to continue doing what God has commanded us to do, knowing that global mind are praying by each other and by our Nations. Es el corazón del Padre que late por las naciones del mundo, y levanta ejercito de almas que buscan Su Rostro para conquistar la tierra y preparar su venida!!! Muchas gracias. It is the heart of the father who beats for the Nations of the world, and rising army of souls who seek your face to conquer Earth and prepare for his coming! Thanks a lot. Thank you for this wonderful site. I am truly enjoying the ease using it and implementing some of the strategic worldwide prayer tactics. Thank you once again and may the Lord continue to bless Aglow with expansion. This is great!! Job well done. I believe many people who will come across this will be motivated to pray for the nations of the world. I love it!! Greetings from National christian Prayer Fellowship of Bangladesh. We are also Prayer Movement. We are Minority our Country. We face problem every step because we are a Christian. Our Country is Muslim country. We are only half an million Christian. Our total Population is 170 million. So please pray for us. Any way How we work together your Ministry. If possible I want join your Conference. Please let me kniw. God has been stirring me in the nights concerning STRATEGY in prayer. Your site has SHORTENED my search on how to do this effectively. I am so blessed by this directive. THANK YOU from the bottom of my heart. I will use this resource a lot in my prayer hours. What a marvel to join with so many around the world in the great cause for Christ our Lord. You are indeed a blessing by sharing the word of God all nations that need it most and pray you continue the wonderful job you doing in bringing people to God. Wow, look what God has done. He is taking us to all the nations and praying in every Capitol of the world. He is giving us a governmental authority to make a change in this world. Powerful Authority! His will, WILL be done and He is useing this great tool to advance this Global Prayer Network to cause government leaders to stop and see the burning bush and ask the Lord what shall I do? Then DO IT! There is a shift we have been wanting to see and it’s happening! Thank you Lord, thank you Nancy for this powerful tool. whee to join you in bujumbura? what are your services in2016? in burundi? we are seakiing a partnership. God bless you for this great way to fight the spiritual battle! Great job!! I applaud Aglow International for this Global Pray initiative. This is very much in line with the instructions given to the Body of Christ in 2 Chronicles 7:14. As the Body of Christ pay heed to God’s instructions, healing of the land will become a reality. Every child deserves safe shelter, plenty of food and a chance to get an education. Sadly, millions of orphaned, abandoned or neglected children throughout the Africans and specially Kenya Homa bay don’t have a safe place to call home.Even we are praying for them even get food for Christmas and food so that they may be well . So many precious little ones are trying to survive day to day – unprotected from abuse, hunger, violence and sickness. We are on a mission as Salem Christian family Church in Africa Kenya Homa bay to rescue and protect these vulnerable children. Our loving donors support orphans that take in orphaned or abandoned children. Through the compassionate support of our Hope program, of Salem Christian family Church you can sponsor a precious child living in one of these with us . Your support can give precious orphans all they need to grow up healthy – mentally, physically and spiritually. When you become Of Hope sponsor, of Salem Christian family Church you can instill hope, love, values and work ethic in a young person who could have fallen through the cracks. Together, we can empower orphaned children and give them a chance to become the leaders of tomorrow. If you are willing to help let us know us here and hear from you ,your give will make a change alive of a child. We are empowered with the word of God and we are praying As One. Thank you Lord for the Aglow Global Prayer Network !!! Sometime back in the year 2014,a group of people from Nairobi approached us with a proposal for partnership with our non-governmental organization(NGO) called EDUCATION SUPPLEMENTS INTERNATIONAL to help the disadvantaged in our society like supply of food,clothing,medical treatment etc.Little did i and my wife Edith know that they were criminals.Before we knew it,they had defrauded people here in Nakuru town where we live and Nairobi using our organization’s name of millions of Kenya Shillings.Later,we were arrested and charged in a court of law for crimes that we had not initiated.In fact we spent some time in prison and were later released on bail(bond)..The case is on-going and we are to appear in court again on Wednesday next week (15/11/2017) for a hearing of the case. In your prophetic word to me,you mentioned about a difficult period that we have gone through.This is what God was revealing to you.Please pray for us that the court cases will be terminated and come to an end so that we can have peace,me and my family. It has been a very trying time for us in the family.The court cases left us almost financially crippled.Were it not for prayers from friends and ourselves,we do not tell the direction our lives would have taken.The complainants in these cases are well aware that we were innocent from the beginning but would not want to withdraw the cases in the hope that we would give them some money for the loses they suffered from the fraudsters from Nairobi. PLEASE STAND WITH US IN PRAYER FOR OUR APPEARING IN COURT NEXT WEEK. Please Pray… GOD has opened doors for DAVID BALDWIN to minister to muslims on a Pakistani radio station. Souls are coming into the kingdom. His calling is NOT finished! Now he MUST BREATH ON HIS OWN and everything will get better.